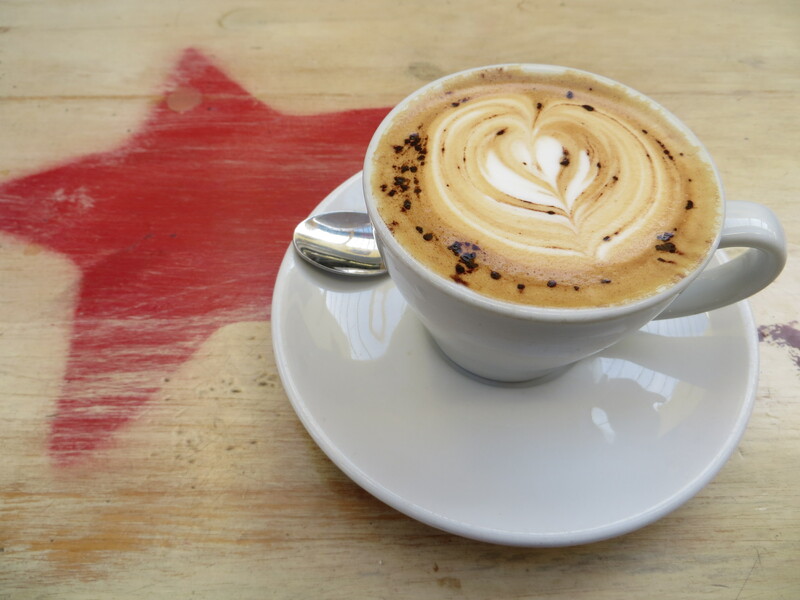 While visiting Brixton Village Market, I really wanted to review one new cafe and one old cafe. However, after my awful coffee at Wild Caper, I was gagging for a really good cuppa. 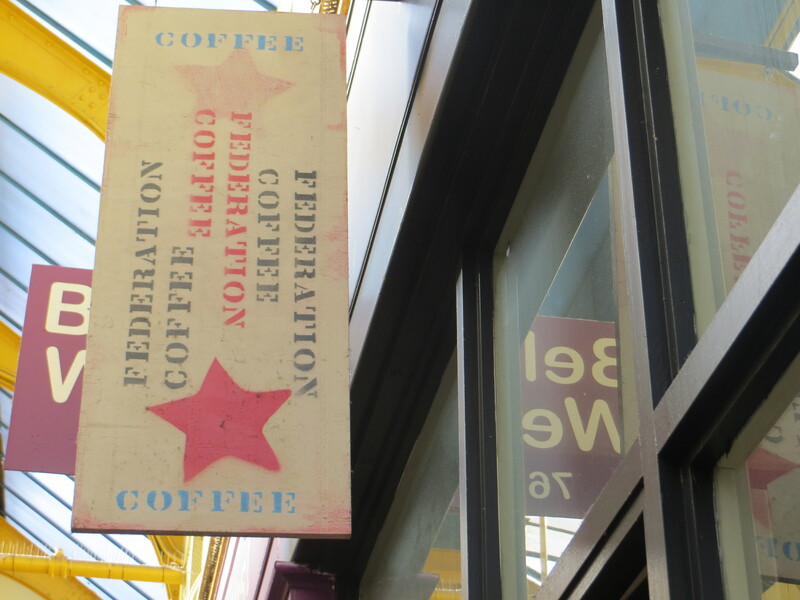 Looking around, Federation looked most like it was a serious cafe. Also, it was buy far the busiest which I took as a good sign. This is a seriously tasty coffee. After having some bland tasting cappuccinos, this roast from Alchemy Roastery was a breath of fresh air with such an intense flavour. And what a flavour. Starting off with a touch of olive tapenade, it mellows to a lovely burnt caramel taste. It only doesn’t score full points because this is a love/hate coffee. It has such a strong and unique flavour, that I could imagine people being put off. Though judging from its popularity, that doesn’t seem to be the case. Everything else, from temperature to size and consistency, was perfect. And at £2.60, it’s a good price. Very busy and clearly popular, the main focus seems to be the outside seating (outside as in the market area but still safe from the elements). Rows of seating cover the outside of the small shop. Inside, there were a few window seats and some bigger tables. It was nicely decorated in light, welcoming colours and the brilliantly designed coffee menu (see picture) was a great touch. Like most of the venues in the market, they are quite small, but they’ve done a lot with little space. While the website talks about a food menu, all that I could see, apart from the usual selection of pastries, cakes and breads, was corn fritters and homemade museli. I didn’t try any but it all looked good and the corn fritters was an interesting addition. However, it was limited. Really good service. Fast and friendly. After ordering in the cafe, I took my seat and the coffee arrived in a matter of minutes. Not much in the way of extras here. It sells its coffee by the bag and had a few more coffee related objects for sale. 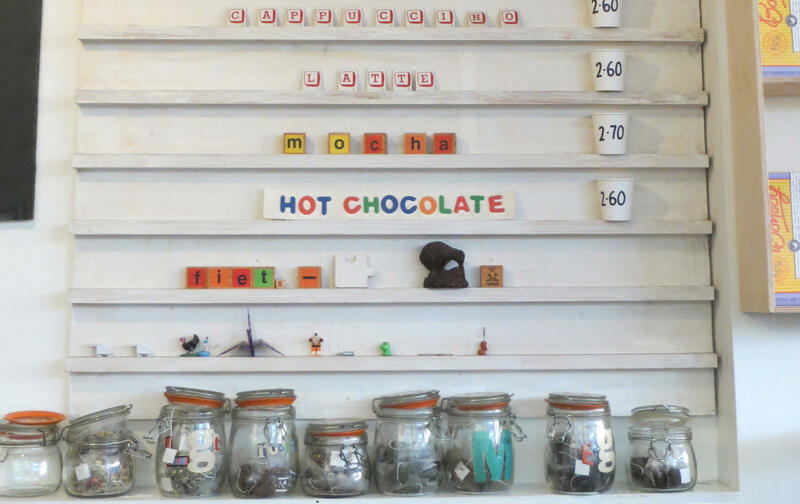 Again, as it is part of the community market, I’d like to see a bit more inventiveness – a market loyalty card, out of hours events or a bit of music. A really good cafe all round and one of the most interesting tasting blends I’ve tasted. Though a larger food menu and some more community involved would be much appreciated. Federation, if I’m selling you short on either of these, please let me know.